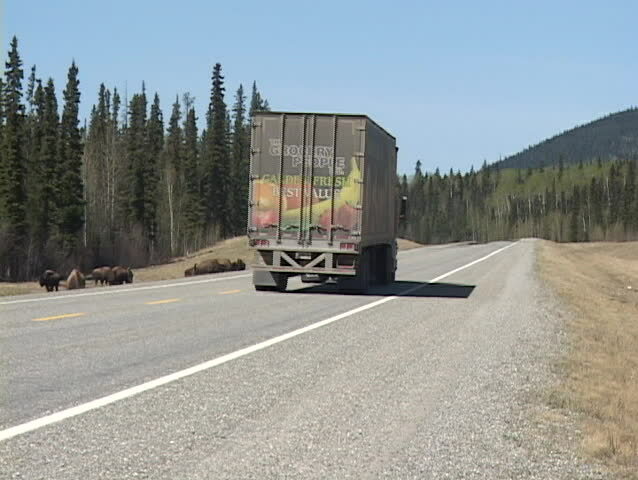 YELLOWSTONE, MT - CIRCA 2005: Bison pass in front of a truck on a highway in a forest circa 2005 in Yellowstone National Park. hd00:27WINTHROP, WA - CIRCA 2009: local highway, horse drawn wagon. hd00:19KENYA, KISUMU - MAY 20, 2017: View through a windshield from inside a car. Van is going through a country road near African village. hd00:11PICACHO, AZ / USA - May 11, 2018: Zoom in shot of a camper at a camp site in Arizona desert. Clip reveals a designated camp site with small tow able camper shell parked on it. hd00:12White dog wearing straw hat sticks head out car window, enjoys car ride. 4k00:06Camel train on a clean background. Isolated caravan from a camel with different goods. Animation contains an alpha channel.